Belle Meade, Winter Garden - Winter Garden Homes for Sale, Selling Winter Garden Home, Rick Belben, Belben Realty Group. 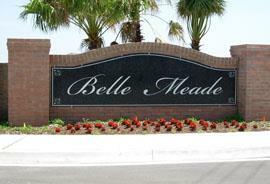 Belle Meade is a Gated Rylan Home Community located in Winter Garden off Avalon Rd (545). Belle Meade is zoned to Top Rated Orange County Schools and is conveniently located to hwy 429, major highways, winter garden village, Disney attractions and all that Central Florida has to offer.